Stylish, move-in condition! This upper-level condo is located in the historic McIntire District and is just a short walk to the train, shops, and all that downtown Salem has to offer. This light-filled unit has tall 9' ceilings, a flexible floor plan with 3 BR's, plus a separate room for an office. Freshly painted interior, sparkling hardwood floors, and a new/recently renovated kitchen with all new kitchen appliances, new cabinets, and flooring! In-unit washer/dryer. Lots of storage/ closet space. Modern Tankless HW heater. 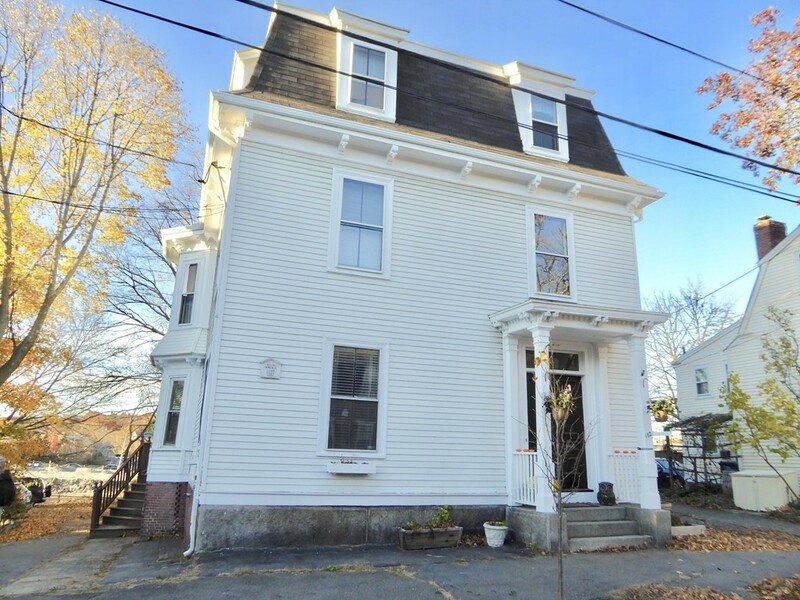 Exclusive deeded use for this unit is the attic for additional future build-out possibilities. There's one-car off street parking along with an additional shared common parking space and a large fenced-in common yard. Pet-friendly with restrictions to two cats and/or one dog 50 pounds or less. condo docs. no known k&t wiring present.